First and foremost, let us consider the solubility of alkaloids both in water and organic solvents along with some typical examples. In fact, a comprehensive knowledge of the solubility of complete range of alkaloids and their corresponding salts is of utmost pharmaceutical importance because of their extremely specific and potent pharmacological actions. 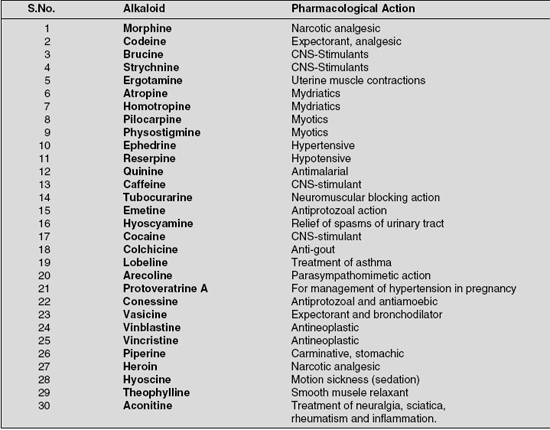 It is pertinent to mention here that in general the solubilities of different alkaloids and their respective salts usually exhibit considerable variation, which may be attributed from their extremely complex and varied chemical structures. However, it has been observed that the free alkaloid bases as such are invariably found to be fairly soluble in organic solvents, such as: either, chloroform, relatively non-polar solvents (hexane, benzene, petroleum ether), immiscible solvent, lower alcohols (methanol, ethanol); but they are either practically insoluble or very sparingly soluble in water. 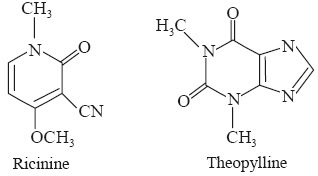 Examples Atropine sulphate and morphine hydrochloride are much more soluble in water than their corresponding bases i.e., atropine and morphine. 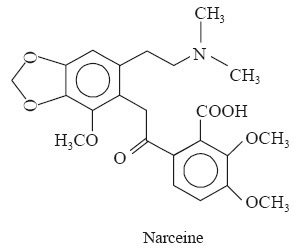 (i) Certain alkaloid bases are water soluble, but these may be solely regarded as exceptions rather than any specific rule, such as: ephedrine, colchicine, pilocarpine; the quaternary alkaloid-base like berberine and tubocurarine; caffeine-base readily extracted from tea with water. 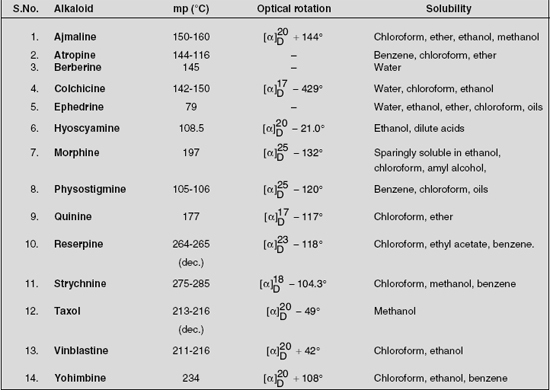 (ii) Narceine and pilocarpine are insoluble in organic solvents, whereas morphine is sparingly soluble in organic solvents viz., solubility in either 1:5000. (iii) Certain alkaloidal salts, for instance: lobeline hydrochloride and apoatropine hydrochloride are found to be soluble in organic solvent like chloroform. also write down the reaction of different detection reagents and alkaloids.